Postcards from the Attic: Car booty! Oh I do love a car boot, don't you? 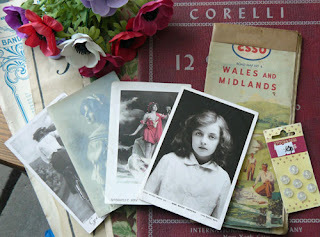 My other half indulges me as I rummage through for what he would describe as a load of old tat! Today I got a very impressive haul indeed - loads of old sheet music, a few vintage postcards, some fabric flowers for 10p, buttons also 10p and a really tatty but oh-so-vintage map. I think I spent less than a fiver in total! I also got this totally amazing bit of kitsch. 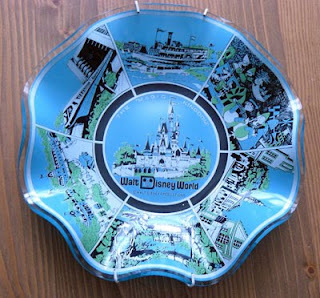 It's a Disney souvenir, I think it has to be from the seventies and OMG it's uber naff but I love it soooooooooooooooooooo much.